Novak Djokovic’s straight sets victory over Rafael Nadal in the Australian Open this weekend epitomised how dominant the Serb is setting out to be in the sport in 2019, and subsequently solidified his fully-deserved Number One positioning. Djokovic was in complete control throughout the match to remarkably register the seventh time he has lifted the Norman Brookes Challenge Cup and now holds the most single men’s titles at the Melbourne-based tournament. This is of course the competition in which he won his first Grand Slam title back in 2008. “I'm trying to contemplate on the journey in the past 12 months.” Djokovic said in the aftermath of his latest victory. “I had surgery exactly 12 months ago. To be standing now here, in front of you today, managing to win this title and three of the four Slams is truly amazing. I'm speechless. "I would like to thank my team for supporting me. You guys are always behind me, tolerating me on my bad days, putting together a great successful format that is working very well." In the era we’ve been privileged to see some of the greats of the game take the court, with Roger Federer, Andy Murray, and Nadal and Djokovic, the latter also has the bragging rights over each of those individuals in terms of personal victories. Under the lights on Sunday evening at the Rod Laver Arena in Melbourne, Djokovic has now extended his triumphs to a 28-25 win record over Spaniard Nadal. Over Federer, he has it at 25 to 22 in his favour, and over Murray and even more gargantuan gap of 25 victories to Murray’s 11 when they’ve come face to face. 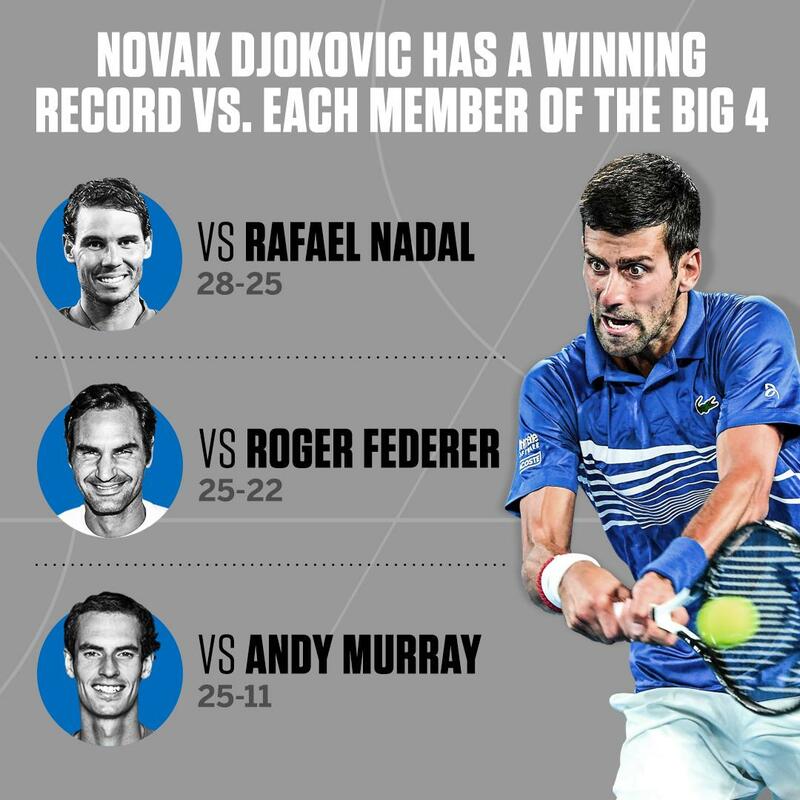 Djokovic is now only five Grand Slam singles titles behind Federer, and six years on him. Fans were virtually unanimous in their praise for the player. Former player Pat Cash was in agreement: "We should start considering Djokovic the greatest ever despite being an unpopular thing to say". The 31-year-old Djokovic is now in a prime position to record his first ever Australian - Wimbledon double in a calendar year once The Championships rolls around in June. On this current form, few would bet against him retaining his title at the All England Club.